Gazeo and Alaitza are two small towns in the Llanada Alavesa, very close to Vitoria. In their small churches some extraordinary and mysterious sets of mural art were discovered a few years ago. They are very rarely visited, so you have to plan ahead to enjoy such delicacies. The highlight of any trip to Gazeo y Alaitza is the unexplained paintings found there. 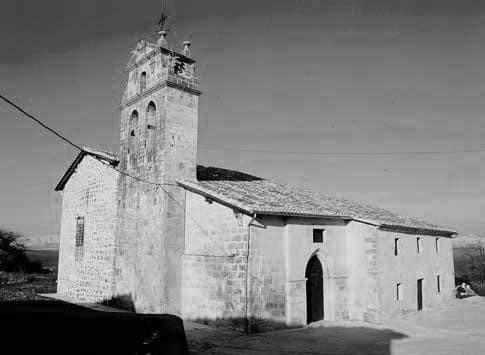 Since these churches are open only a few days a year and have very limited opening hours, it is essential to call the Salvatierra-Agurain Tourist Office (945302931) in advance; the tour can continue at the historic Salvatierra Customs Office. An original option for an additional day on the getaway is to go to the village of Zalduendo and from there take the Camino Real that leads to the San Adrián tunnel (on the border with Gipuzkoa) through which armies and kings transited; it is a simple and beautiful route through the Aizkorri-Aratz Natural Park. You can stay in this area to enjoy the tranquility of the countryside and from there to visit the nearby city of Vitoria by day on the motorway. To understand the local dishes and to choose where to stay and book, check out our pages on where to sleep and eat in Gazeo and Alaitza. Like the rest of Álava, this territory became part of Castile in the year 1200. 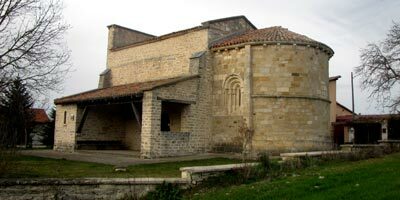 In the 13th century– in a context of intense banditry and violence– they joined the Brotherhood of Iruraiz, a self-defence organisation of the villagers created to fight against the abuses of the lineages of the knights of the so-called Cofradía de Arriaga, which tried to subjugate them. They met regularly at Alegría-Dulantzi to make their decisions. Possibly, in the middle of the 14th century, English troops from the “Black Prince’s” army, who had come to Castile to help King Peter the Righteous, were stationed in the area. Some of them were able to make the unusual paintings discovered some years ago in their churches. Approaching the rural churches of Gazeo and Alaitza, a few kilometres from Vitoria, is a call to aesthetic enjoyment, a return to the past to contemplate how the painters created their images trying to reach the illiterate people. in the insecure territory of Álava. The murals have a clear catechizing function and are structured around a large Christ Pantocrator represented in the centre of the apse. Around it are distributed several figures, those who have been saved after the Judgment of the Souls. The Judgment is detailed below, next to a scene from Calvary. The rest of the paintings are in the vault and one is on the side walls. Above the vault are various scenes from the life of Jesus, from his childhood to his death and resurrection. The side wall depicts the Last Judgement and the damned entering Hell through the mouth of Leviathan. As a curiosity, a chained king parades on the front line. 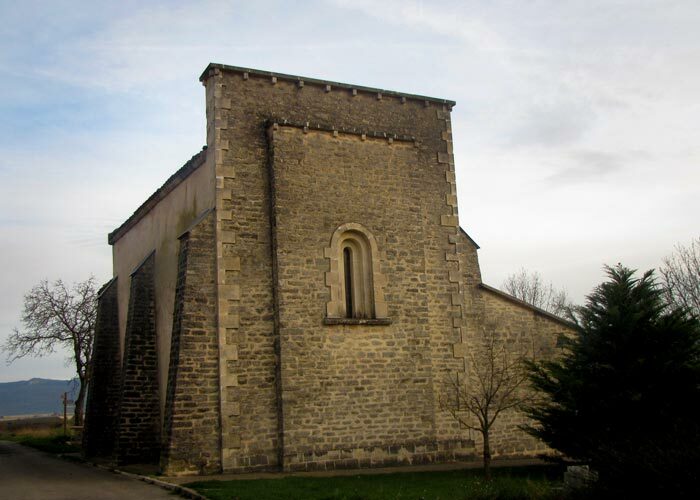 Four kilometres away in Alaitza you can find the Church of Our Lady of the Assumption, a 13th century Romanesque building. Inside is the second set of paintings, hidden until 1982 behind an altarpiece. Carried out with a schematic and monochrome technique in an ochre tone on the white colour of the vault, Alaitza’s paintings are of less artistic value than those of Gatzeo, but they are very attractive due to their enigmatic character. The images depict everyday scenes of medieval life, with a special emphasis on weaponry. Castles, knights and battles follow one another all over the wall. The soldiers are dressed in an English style and carry primitive crossbows, the so-called “goat’s foot.” We also find several pilgrims on their way to Santiago de Compostela, with their staff and shell. All of this is framed in vegetal borders and scrolls along with other decorative elements. The answer to why a church houses such paintings, so far removed in their subject matter from what is typically seen, remains unclear. Given their similarity to some English paintings, some speculate that they could be from the 14th century, when the English knights under the orders of the “Black Prince” came to help Peter I of Castile. It is precisely through this historical fact that the images of the paintings could be related. Gazeo and Alaitza represent two different ways of seeing the pictorial art of their time. Two artistic manifestations that complement each other, thus forming an interesting journey through Gothic painting. 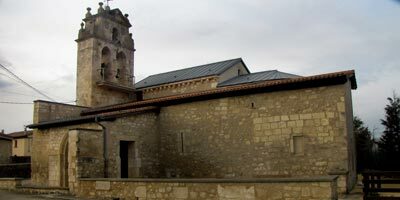 There is the possibility of enjoying the paintings of both churches by arranging a visit with the company Tour Agurain, responsible for guided tours of the region of Cuadrilla de Salvatierra.